Voice Search and Video and Stories, oh my! There’s a new trend hiding in every digital marketing corner which makes it quite difficult to ignore as a brand. So why ignore a trend that could skyrocket your brand to new heights? Let’s dive right in and look at some of the biggest Digital Marketing trends of 2018 thus far. If you don’t believe that voice search is the next big thing, you must be lying to yourself. Voice search has been on the rise ever since the creation of Siri. Although voice search accuracy was rocky at the beginning, it now has an accuracy rate of over 95%! Talk about an upgrade. Whether or not we care to admit it, we as humans tend to be lazy. Searching for things with your voice is much simpler than taking the time to type out your inquiry and sift through hundreds of thousands of results to find the most accurate one. Plus, it takes less than half the amount of time to complete. 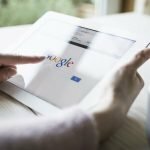 Voice search is certainly a trend you should consider sinking your teeth into as a small business, to say the least. Information – The best places to start are your website, Google My Business, and social media channels. By making sure your address, phone number, and hours of operation are up to date, you’re on your way to voice search optimization! If this information is incorrect and someone searches for your business via Voice Search, they may lose complete trust in you. 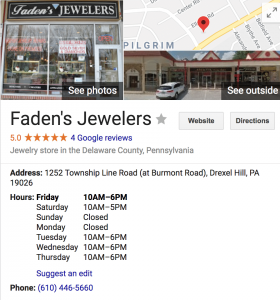 Faden’s Jewelers utilizes Google My Business by keeping their information up-to-date. Natural Language – Have you ever asked Siri or Alexa, “where can I find the best Philly cheesesteak?” Although we all know the answer (Jim’s), think about how you would have asked the same thing online. You probably would have simply typed, “best Philly cheesesteak.” This fact brings us to our next tip: using natural language. By creating and sharing content in a natural language, you will better position your brand to be the one answer provided after a voice query. Long-tail Keywords – The next step goes hand in hand with the last. In order to truly optimize natural language in your content, you must also take advantage of long-tail keywords. Short and brief keyword phrases will not do you any justice when it comes to voice search. Create Alexa Skills – Now, don’t let this step scare you, but there is a huge opportunity in creating Alexa skills that will benefit both your audience and your business. Not many businesses have taken advantage of the option to create their very own Alexa skill. Have an idea for an Alexa skill? Sweet Rose Studios can help you create your vision! You’ve heard it all before: video marketing increases views and reach significantly. According to research, video posts on Facebook have 135% greater organic reach than photo posts. And social video generates 1200% more shares than text and images combined. If you weren’t convinced before, are you now? Video has taken over social media in several different ways. From vertical, story type videos to in-feed ad videos to 360 degree videos, interactive videos, there are many ways to incorporate video into your marketing strategy. Captions – A whopping 85% of Facebook video is viewed without sound, according to multiple sources. Therefore, including captions that provide value to your audience is almost essential. Think about it, how many times have you scrolled through your Facebook and stopped to watch a video? Now think, out of those times, how many times have you actually clicked on the video for sound? Scrolling through feeds has become a part of our culture and recognizing that will help you better cater to your audience. Platform – Of course there are tons of ways to market your company via video, but where’s the best place for your business? This all comes down to where your audience tends to hang out. Does your audience tend to answer all of your email newsletters, or are they more typically found browsing your social media channels? Whatever the case may be, determining where your videos would shine the brightest is determinant on your audience. Video Type – This is where the magic happens. Now is the time to decide how you want to engage your audience through video. Do you have a product you want to share information about? Do you want to share how a product is or can be used? Or maybe you have a loyal customer who’d love to talk about your product. There are many ways to engage with your audience via video, but our biggest tip here is to test! Test it all. Always be testing. If one video doesn’t work out the way you had hoped, test another! Drexelbrook utilizes video to showcase big announcements and company updates! While we’re on the topic of video marketing, let’s dive deeper. As stated above, video marketing is taking the digital web by storm. You can’t go 10 minutes without scrolling past a video on social media. 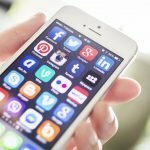 But have you ever stopped to wonder how powerful the videos at the top of these social platforms could be for your brand? 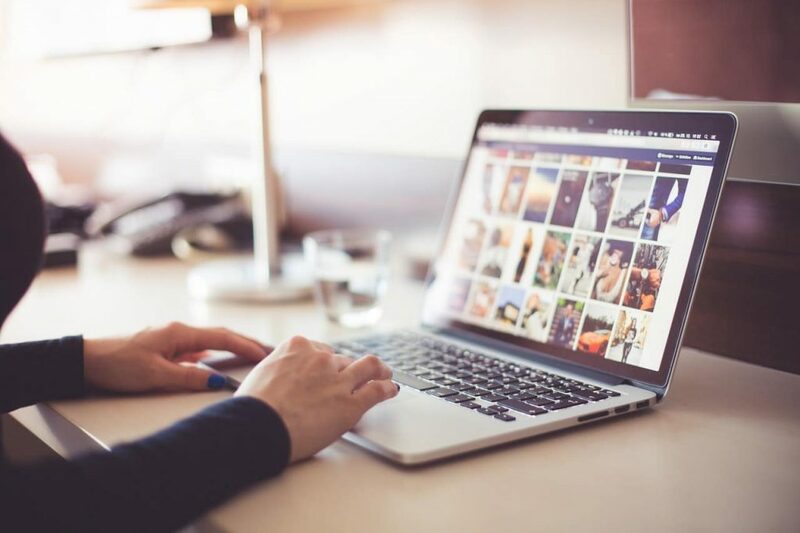 Stories for Instagram, Facebook, and Snapchat provide the perfect opportunity to showcase your products, services, and business as a whole, in a strictly visual way. Let’s break down Stories; what you need to know and why you should be utilizing them. 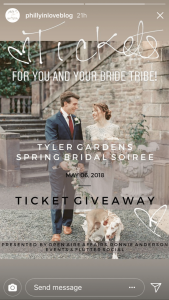 Philadelphia Wedding Magazine gives just the right amount of info away before you click to see more! Have fun with it – Stories allow you to showcase your products and services in a less formal way. This is the perfect place to have fun with it! Share behind the scenes, company updates, latest promotions, and projects in the works to fully engage your audience. Go live – Part of showing who you truly are without staged or photoshopped photos is through live video. Hosting live videos is one of the easiest ways to give your audience a glimpse into what goes on on a daily basis. From project brainstorming all the way to the big event day! 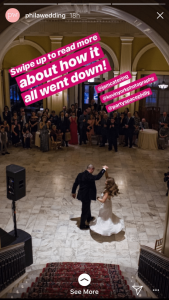 Cross-post – If you didn’t already know, it’s super simple to cross-post stories (at least from Instagram to Facebook). Instagram gives you the option to automatically share your Instagram story to Facebook. 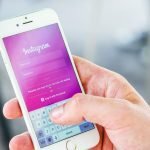 All you have to do connect your Facebook business page to Instagram and turn on ‘Share Your Story to Facebook’ tab in your Instagram account settings. Don’t let video scare you. Video marketing and story integration can all be managed through our social media marketing services. From ideation to content creation to publishing and monitoring you won’t have to be overwhelmed! Contact Sweet Rose Studios for help taking advantage of the latest marketing trends.